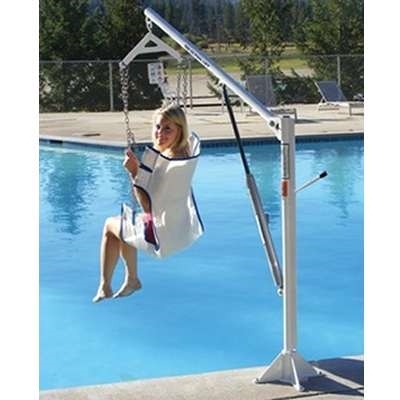 Manual Pool Lift features an easy to use hydraulic pump. The frame on the EZ Pool Lift has been upgraded to a square tubing to replace the older round tubing. The new square tube frame provides additional strength and a cosmetic upgrade. 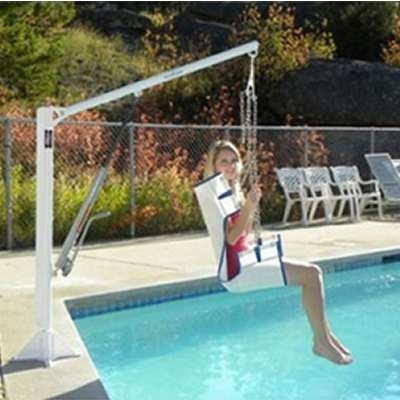 EZ Pool Lift is available with or without the in-ground mount. Also optional surface-mount is available for existing concrete decks, wooden decks, and boat docks. 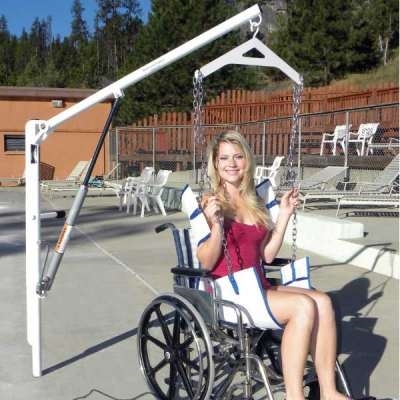 Swimming pool lifts for disabled persons are a huge factor in promoting the therapeutic action provided by swimming, and the Aqua Creek F-EZPL2 featured here is an affordable means to acquiring an EZ handicap pool chair lift, especially with the great discount price currently being offered. 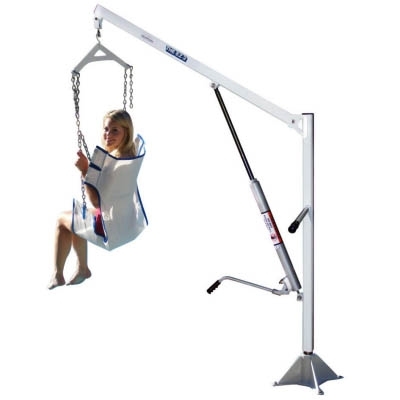 This above-ground pool hoist is a manually operated unit designed specifically for residential use, and with its powerful hydraulic pump, it is capable of lifting as much as 400 pounds. Made from stainless steel and sporting a durable powder-coated finish, it's made to be resistant to rust, corrosion and even the sun's UV rays. 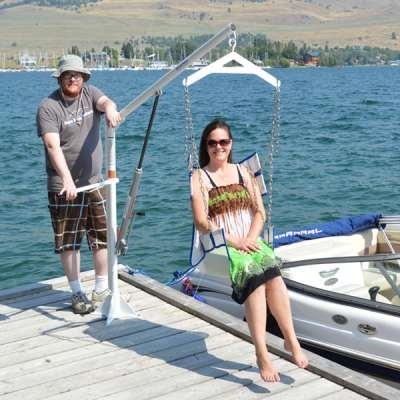 With the optional surface mount the EZ Lift is perfect for boat docks. 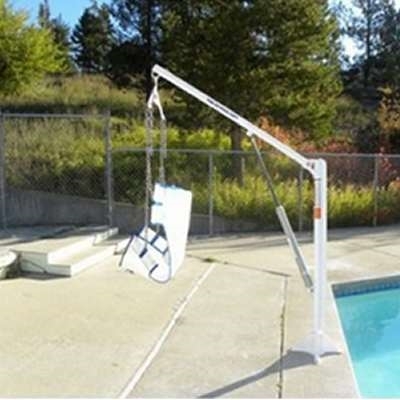 The Aqua Creek EZ Manual Pool Lift comes equipped with a 6" anchor meant to be set in a concrete deck yet to be poured. As an option, surface anchors for attachment to either existing wood or concrete decks may also be obtained. concrete: Surface Mount Anchor for concrete deck (F-035EZSM). wood: Surface Mount Anchor for wood deck (F-036EZ). One year hydraulic pump warranty. Product Weight Capacity: 400 lbs. EZ Lift now offers a Hard Seat for those not wanting to use a sling seat.